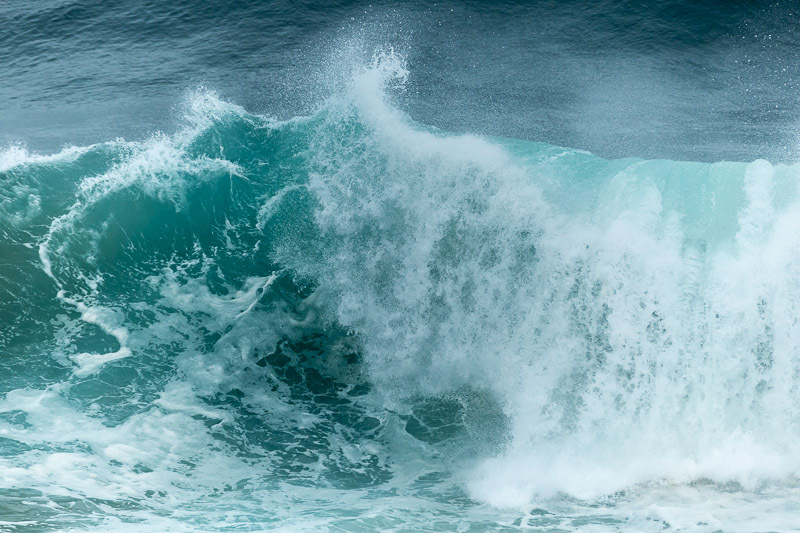 Happy with this shot 🙂 It is still wet, cold and windy at Lennox Head but I managed to capture some great wave shots during a break in the weather. I go home tomorrow and I guess I’ll have to come back to see what it looks like in sunny weather 🙂 The waves probably won’t be as large and powerful so I’m pleased I got these ones. Another view of Boulder Beach, Lennox Head. Boulder Beach near Lennox Head. 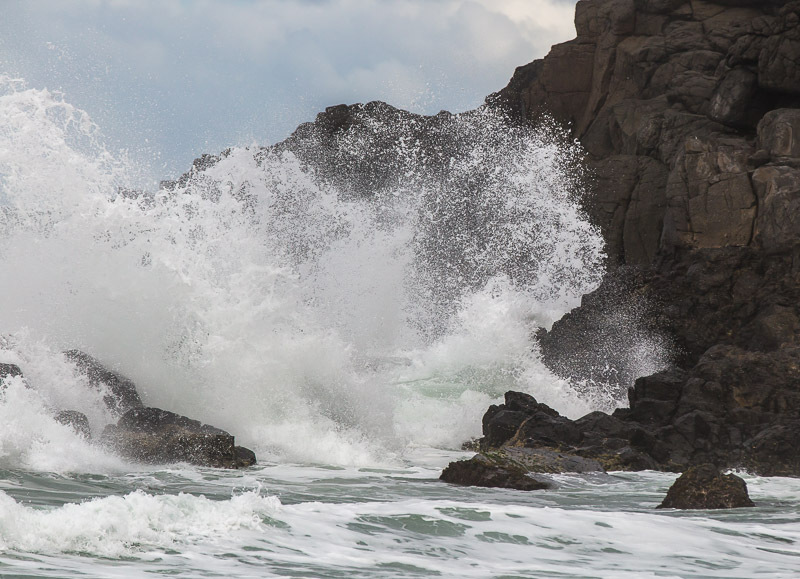 Still rain, cold and windy on my 4 day break at the beach 😦 The surf was pounding the headland and I managed to get some good if a bit grey shots of the spray as the waves hit the rocks beneath. Wet, windy and cold (well for here anyway). 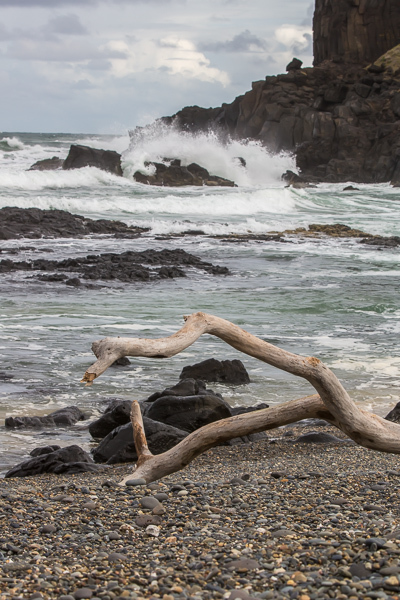 A short break in the rain had me out at Boulder Beach, Lennox Head for some grey beach shots. 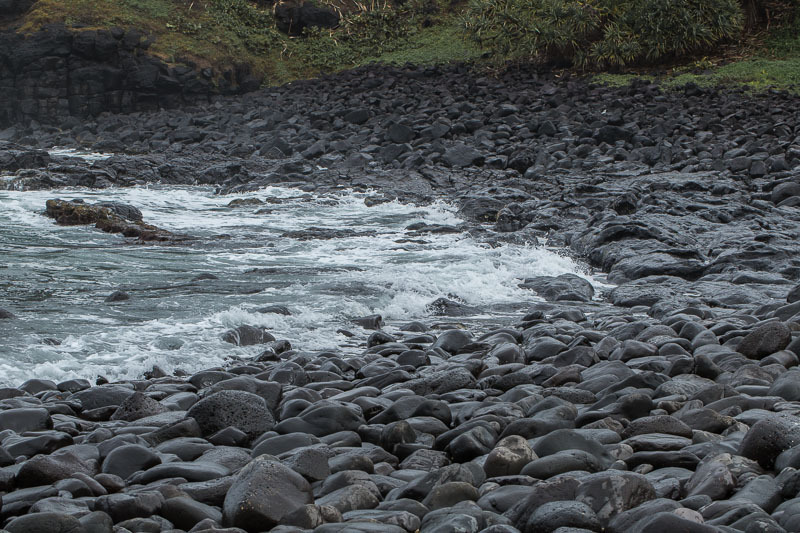 The surf was pretty wild and have some headland shots to post over the next few days. 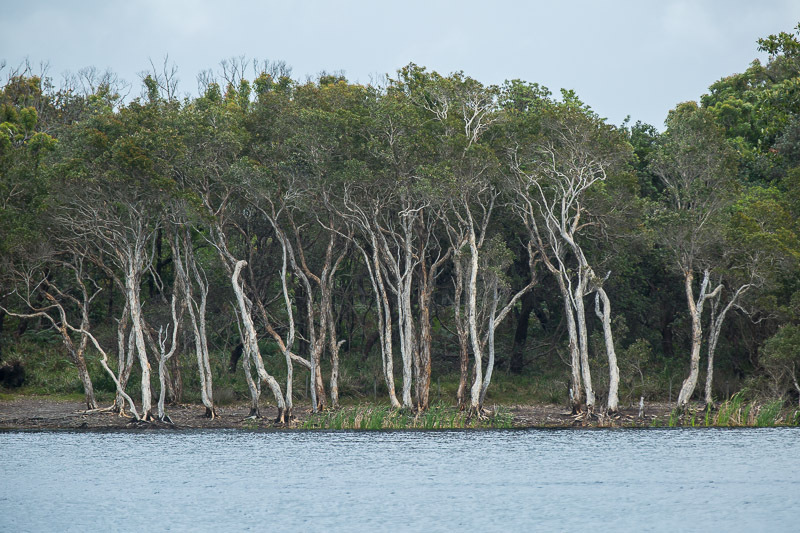 Beautiful large paperbarks line the edges of Lake Ainsworth at Lennox Head. 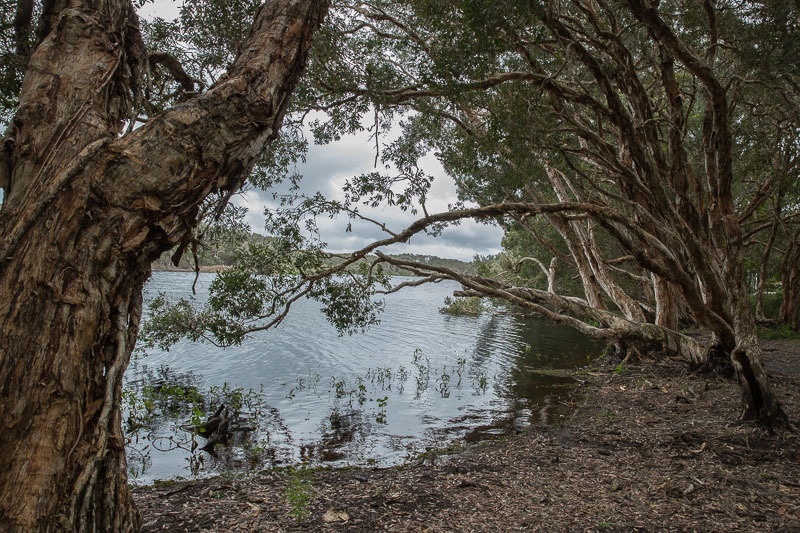 Lake Ainsworth at Lennox Head, Australia. On the spur of the moment I’ve taken 4 days away to have time at the beach two and a half hours from home. All it has done since I’ve been here is rain. We’ve been soaked twice on our beach walks, that’s Flair and I. Haven’t been game to take the camera with me yet. I’ve driven to get any shots like these ones and the light is very grey. This is one of my Floodgates. 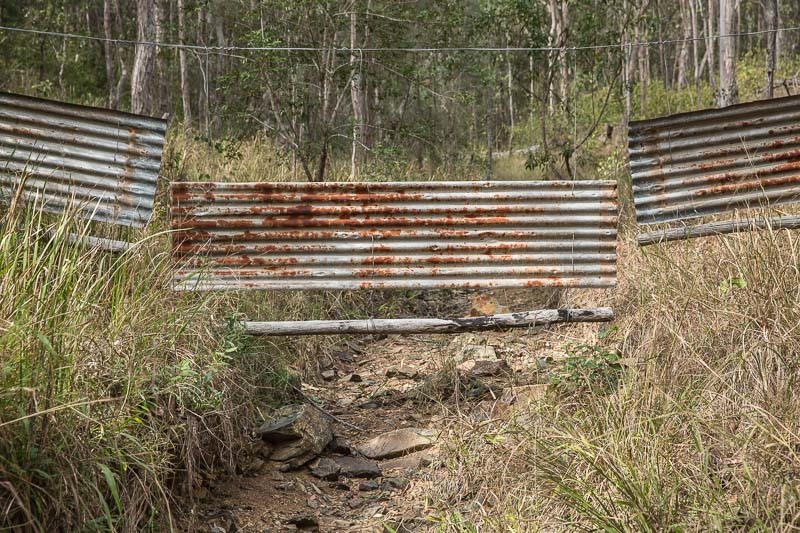 A floodgate is strung across a creek to prevent cattle from roaming into another paddock when the creek has little/no water in it. 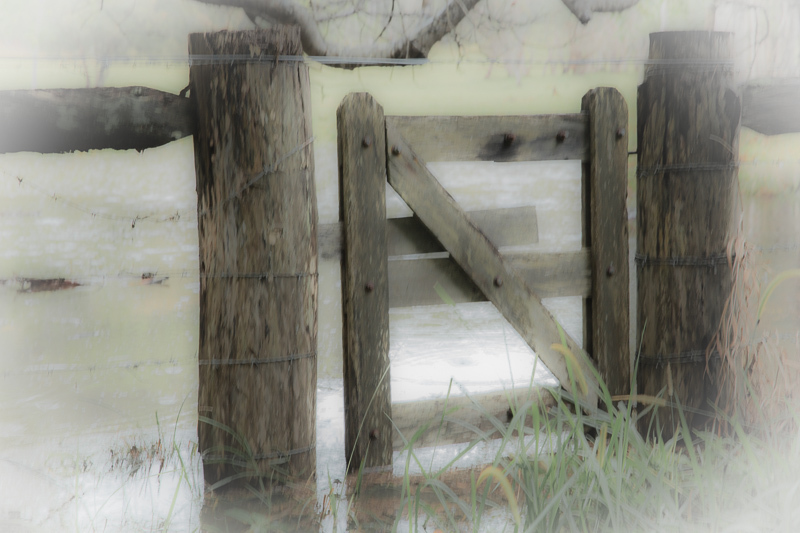 The sheets of tin swing with the force of water when it rains so it quite literally ‘goes with the flow’ and allows the water to move underneath without (one hopes) damaging the floodgate. 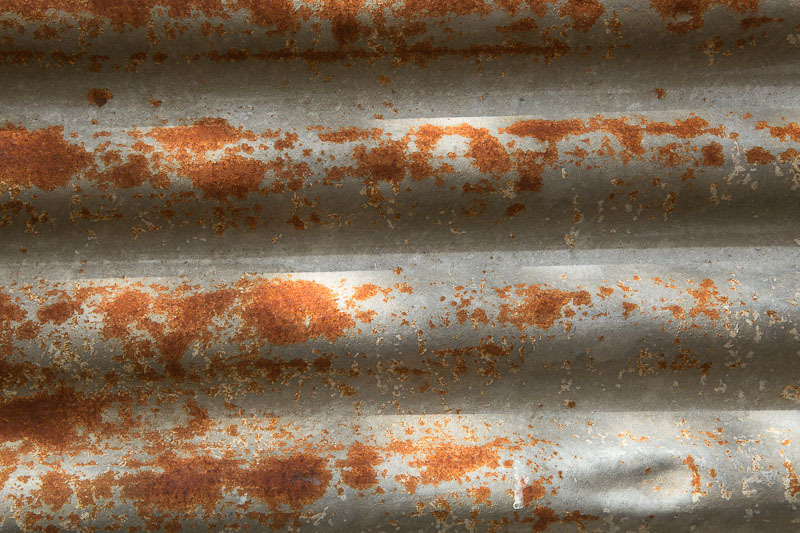 This one in particular I use to make my close up texture shots of rusted iron. 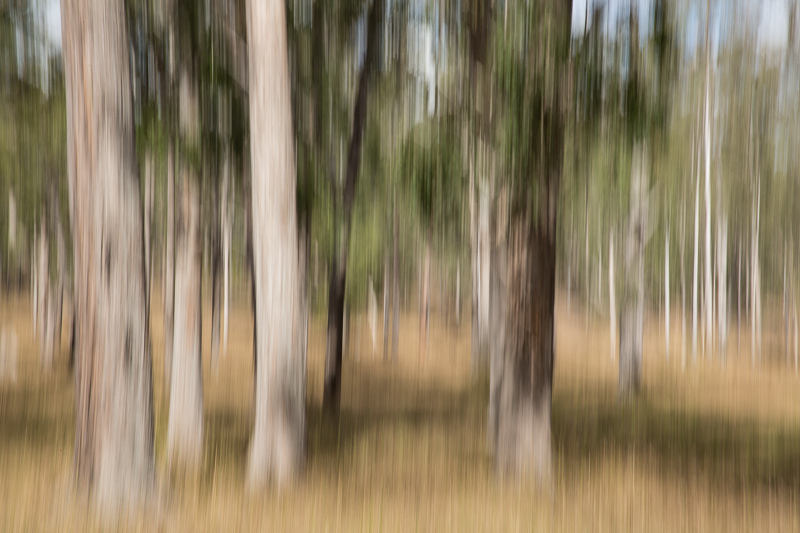 I’m building up quite a series of tree movement images which I really enjoy. But – I cannot think of a better name for the series and I don’t like what I’m calling it here. ‘Movement’ or ‘camera movement’. ‘Tree magic’ doesn’t quite cut it either. Does anyone out there have any suggestions of a name for this series? 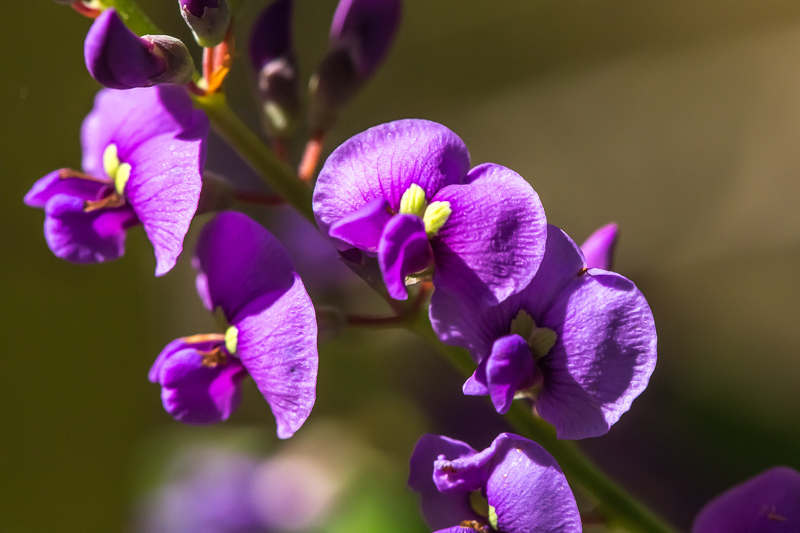 It’s really a purple pea vine but I couldn’t resist the alliteration 🙂 This beautiful little purple vine climbs over the smaller bushes and gives a wonderful colour in mid winter to the dry Australian bush.